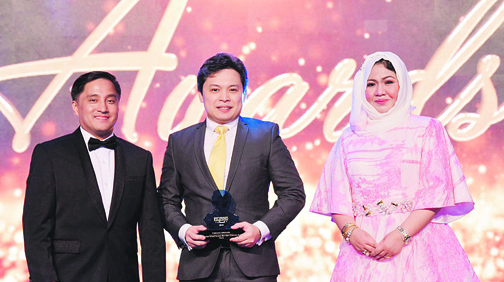 Cebuana Lhuillier, the country’s largest micro-financial services provider, is recognized as the United Arab Emirates Preferred Remittance Payout Center of the Year during the recent The Filipino Times Awards held at JW Marriot. Cebuana Lhuillier Service DMCC head of Middle East Maynard Enrile (center) receives the award. Cebuana Lhuillier is awarded for its exceptional brand of service, striving to meet and exceed the expectations of many overseas Filipino workers worldwide.